Savoury and aromatic! 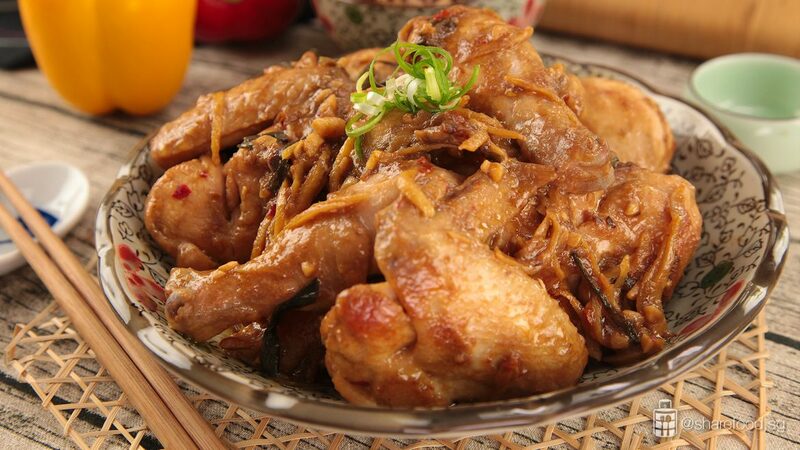 This Tau Cheo Chicken recipe is shared by home cook, Loh Sok Han. It is a dish that is fast to prepare and simple to cook. For those who haven't heard of Tau Cheo, it is a fermented soybean paste made from yellow soybeans. It very flavourful and salty and it is to be used sparingly with sugar to balance out the saltiness. This ingredient is easily available in supermarkets, and it can be used to cook chicken, pork, duck and even fish! Here's a tip we'll love to share with you and it's to cook the chicken with bones as it'll enhance the flavours of the dish. For this recipe, we used a whole chicken, and the result was a fantastically tasty, succulent chicken meat. The Tau Cheo paste gives it a boost in flavours and if you love spicy, add some chillies. 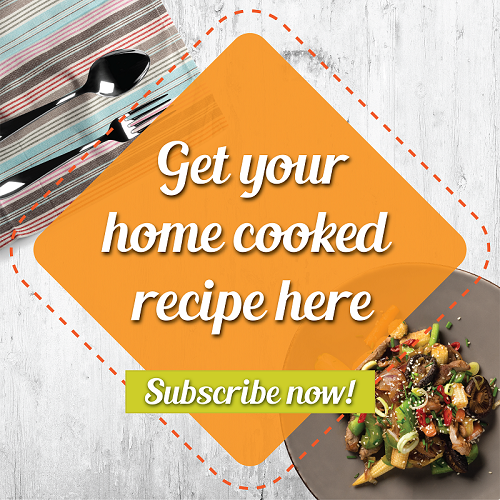 For those who live a hectic lifestyle and yet love to cook for the family, this is one recipe to archive in your recipe books! Savoury and aromatic! 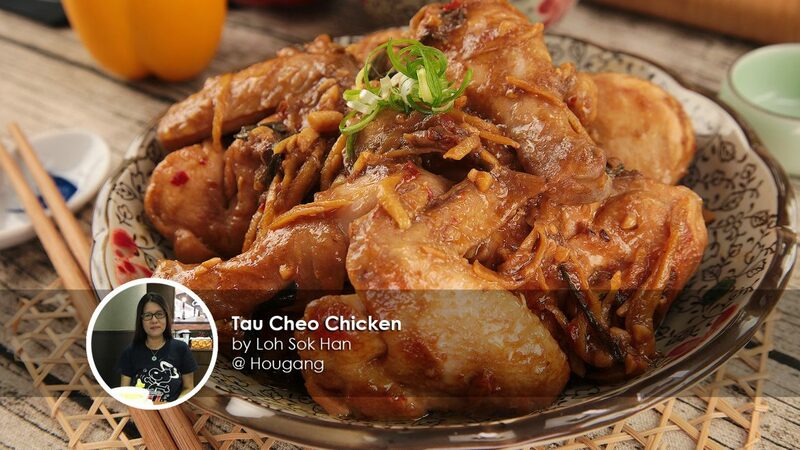 This Tau Cheo Chicken recipe is shared by home cook, Loh Sok Han. It is a dish that is fast to prepare and simple to cook. For those who haven't heard of Tau Cheo, it is a fermented soybean paste made from yellow soybeans. It very flavourful and salty and it is to be used sparingly with sugar to balance out the saltiness. 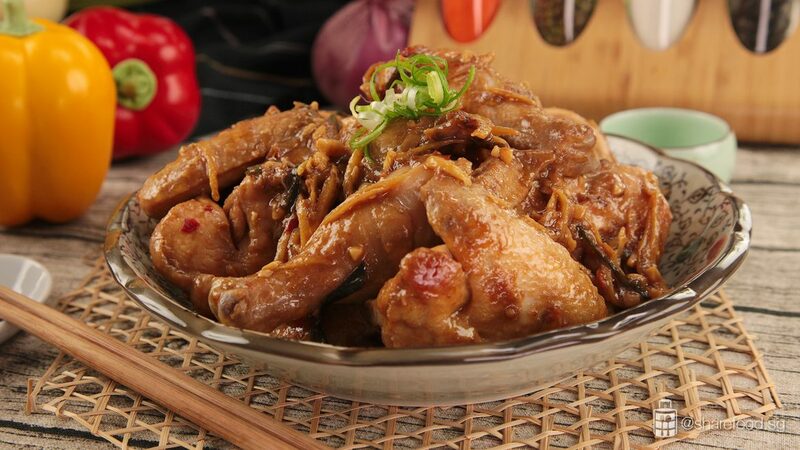 Marinate the chicken with 1 tbsp tau cheo paste and 1 tsp cornstarch. Set aside. In a heated pan, pour in 1 tbsp oil. Place ginger, spring onion and fry until fragrant. Next, fry the garlic and place in the chicken. 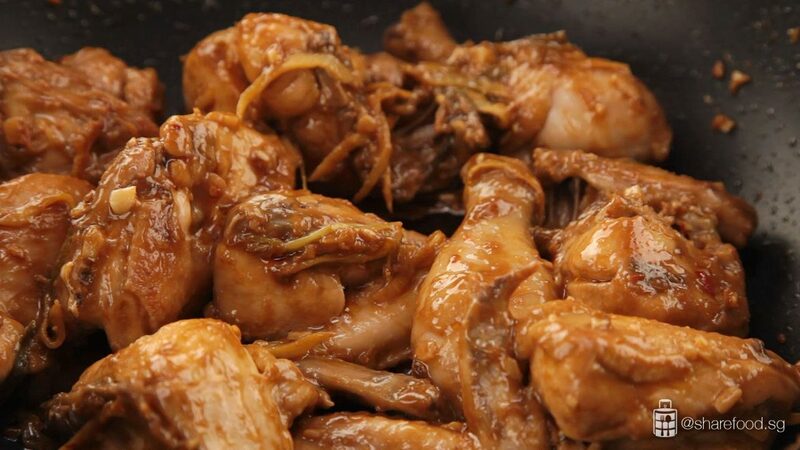 Pour in kecap manis and fry till chicken is cooked. Garnish with spring onions and the dish is ready to be served.